Looking for the perfect transportation method for your wedding day? Longhorn Charter Bus Houston will take care of a shuttle service for weddings guests to your special event, no matter how big or small. Call us 24/7 at 713-344-0553 to request your bus today! Planning your special day in Houston? 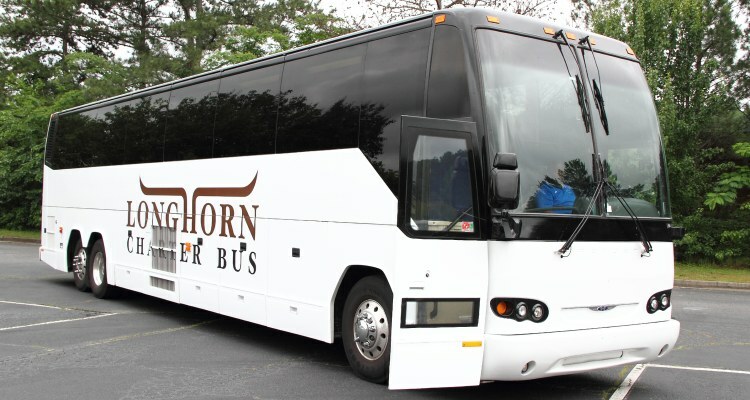 Longhorn Charter Bus Houston has all the options you need for any kind of wedding event, from the engagement party and bachelorette weekend to the rehearsal dinner and the big day. With a private minibus to shuttle your group around, you’ll have more time to focus on other details on your big day. Whether your guests are flying into the Houston airport or from the city, everyone will appreciate wedding bus transportation to and from your wedding event. Guests won’t have to worry about navigating the city on their own, carpooling or rideshare apps, facing traffic, or securing parking. Instead, your wedding shuttle service can pick them up at their hotel and take them directly to your venue. That way, you can ensure everyone will arrive together, on time, and ready to celebrate with a safe ride home. A bus rental may not seem like the most luxurious transportation option for a wedding, but your shuttle bus rental can come with premium amenities that make the ride better than anything else-- and with even more room! Request an all-white interior for an upscale atmosphere, reclining seats for guests’ comfort, speakers with an auxiliary port to help set the mood, WiFi and power outlets, and air conditioning to beat the Texas heat. Longhorn Charter Bus Houston is here 24/7 to help you with all your wedding transportation needs, no matter what the occasion is. Call us today at 713-344-0553 for a free, no-obligation quote. Explore Houston with Students, Teachers, and Parents.